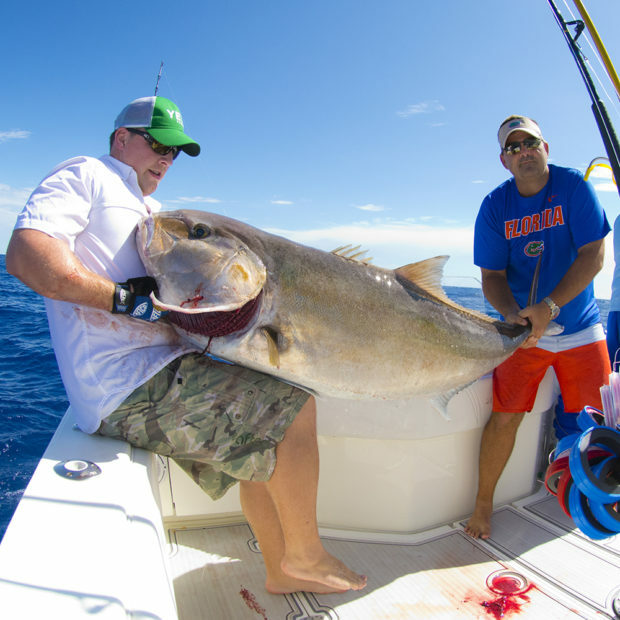 Early summer is one of the year’s best times to plan a long-range offshore trip. 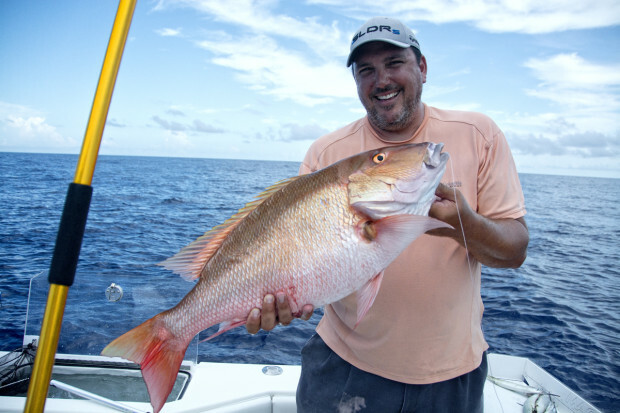 Typically mild weather and minimal offshore storm activity allow anglers to safely plan a multi-day excursion far offshore. With the right planning, crew, bait and tackle, it’s possible to experience the trip of a lifetime. While a variety of grouper, snapper and porgy species will be primary targets. Numerous other pelagic reef species will be available as well. These include African Pompano, Cobia, Amberjack, and Mackerel. All of these species will inhabit similar bottom features such as ledges, pinnacles, wrecks and springs. 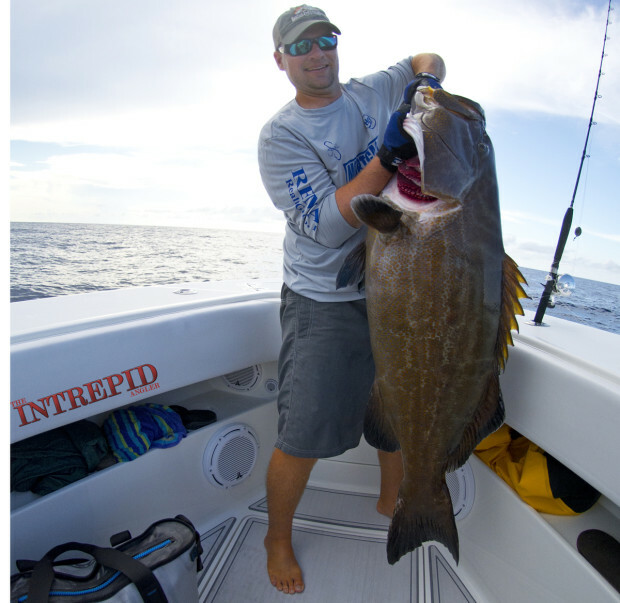 Finding a starting place to fish fifty or more miles offshore can seem like a daunting task. 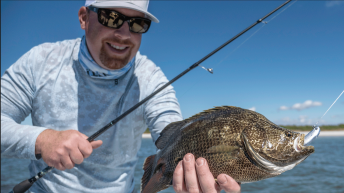 While reaching out through a fishing network for a couple of confirmed GPS waypoints in a general is the easiest way to get started, few anglers are willing to give up valuable coordinates. You’re next step is to consult Bathymetric Charts for detailed bottom and depth contours. Studying these charts to determine areas of ideal bottom type and bottom contour will aide you in developing a plan. Productive areas to search for contain exposed rock or limestone ledges, live corals or hard shell. Ideally you’ll look for these desirable bottom features to be in close proximity to abrupt depth changes. Frequently these steep drop offs will hold fishing near the top, middle or bottom of the depth contour. Popular areas in the Eastern Gulf of Mexico are Pulley Ridge, Hambone Ridge, The Steeples, The Middle Grounds, Christmas Ridge and more. These areas are a great starting point in your search for offshore bottom locations. When to go: With winters last cold front long behind us, the late spring and early summer offer prime conditions for traveling far offshore. 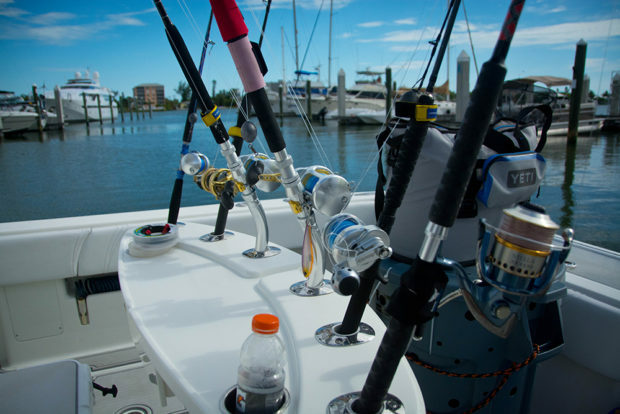 Generally light winds and calm seas will often hold for several days in a row, allowing anglers to plan multi-day trips under favorable seas. Although the forecast may be ideal, it’s not uncommon for small squalls to develop while far offshore. Fortunately, most modern high-end marine electronics feature satellite weather services, allowing you to monitor up to date conditions. While finding productive fishing grounds and getting there is eighty percent of the challenge. Properly presenting a variety of live and fresh dead natural baits will help you put trophy fish in the box. Each angler should carry at least two setups. 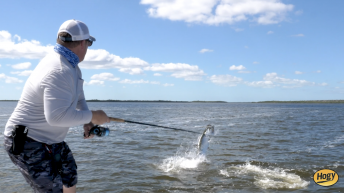 One heavy weight conventional rod and reel, like the Shimano Talica 25 spooled with eighty to one hundred thirty pound braided line and another medium heavy spinning outfit featuring quality 6000 – 10000 sized spinning reel, like the Shimano Saragosa. These two combos will allow you to comfortably target a variety of species using light to heavy weight techniques. One of the most common and versatile rigs for fishing live bait in deep water is the fish-finder or slip sinker rig. This basic rig features a sliding sinker distanced from the weight and leader via a heavy-duty swivel, allowing a live bait to freely swim away from the weight without resistance. Once the live bait is eaten, slack line can be paid out to the fish without them feeling the sinker’s weight. This ultra-simple rig is ideal for fishing cut and dead baits. An egg sinker is threaded on the leader just ahead of the hook, placing the weight against the bait. This allows for a quick deployment into the depths with minimal chance of tangling. 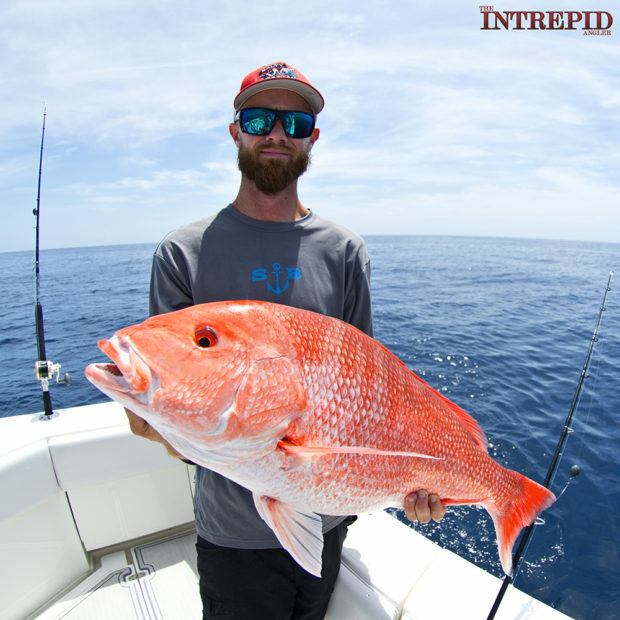 Ideally, the knocker rig works best when using fresh cut bait, allowing the scent attract snapper and grouper. One of my favorite ways to target deep water snapper and grouper is by using ten inch Hogy Soft Baits on a Heavy Duty Drop Shot Rig. This versatile rig allows you to quickly swap weight sizes for a variety of depths, while presenting large quivering soft bait twelve to eighteen inches off the bottom. One advantage to using soft baits on drop shot rigs is the minimal number of tangles you’ll experience while jigging, plus, rigging the lures is quick and you’ll not have to worry about smaller fish stealing the bait. This allows you to reach bottom faster and stay in the strike zone longer. Working the baits is simple as well, a slow up and down jigging motion of the rod is used to dance the soft bait eel along the bottom. Unlike high speed vertical jigging, drop shot jigging is done a comfortable moderate speed.